Synthrotek has adopted a new console-box circuit into our family, the Voice of Saturn. Loosely based on the Atari Punk Console with some custom tweaks and an LFO front end, this box makes a ridiculous amount of different sounds, all from three 555s. Comes as a bare-bones kit, an everything-kit with knobs and case, and a fully-assembled and tested version. 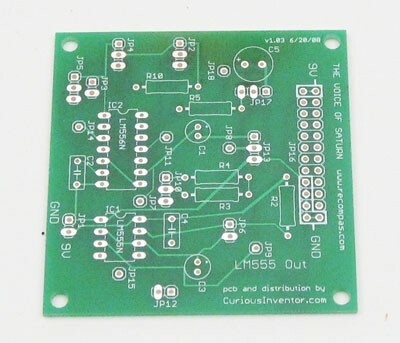 It’s open source and has small area on the pcb for easy circuit bending.